These are fried and not baked, knocking them straight into the realm of unhealthy treats. 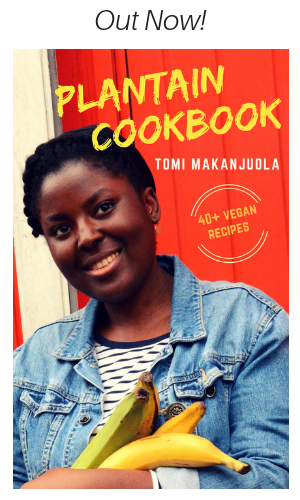 Such are the food cravings you get around this time of year before those healthy eating resolutions come knocking on January 1st (if you're that way inclined). Combine the yeast, warm water and 1 tsp of sugar. Leave aside for about 10 minutes or until the mixture becomes frothy. 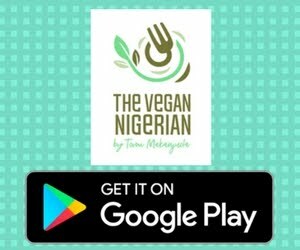 Mix the melted vegan margarine with the yeast mixture and set aside. In a large bowl, combine the plain flour and 4 tbsp of caster sugar. Make a well in the middle and add the wet ingredients. Mix to form a soft dough. Cover with a damp cloth and leave to rise in a warm area for about an hour. Knead the dough lightly (in the bowl) for a minute. With oiled hands, form the doughnuts (for a ring shape, use the end of a wooden spoon or your thumb to poke a whole through the middle...whatever works) and space them out on a lined baking tray. Cover and leave to rest for another 10 minutes. 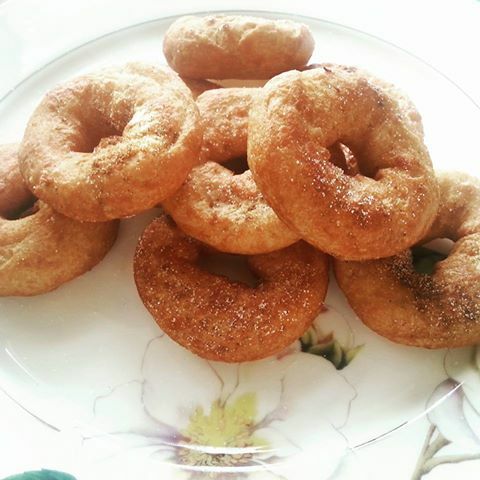 In a pan, heat enough sunflower oil to deep fry the doughnuts. You'll know the oil is ready for frying when a small piece of the dough sizzles and starts to brown. Fry the doughnuts on medium heat, flipping them round if necessary, until golden brown all over. Drain on some kitchen paper. Sprinkle with a mixture of cinnamon and caster sugar. I have tasted this once. I must say it is so tasty.. Happy to see the recipe here. I will surely try this. 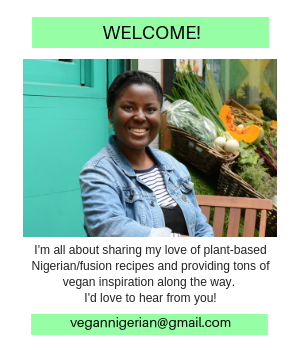 I like vegetarian foods and i have tried many Nigerian foods and they were amazing so this blog looks great . 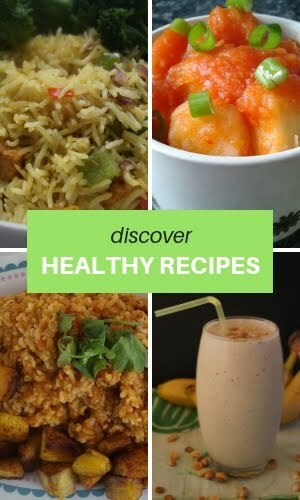 We must try the recipes of this blog . Thanks for this blog . Check out this windows 10 tutorial to change the ringtone of your windows 10 cell phones as customizing the ringtones on windows phone is quite difficult . BTW Coop jam and custard doughnuts are vegan!!! !